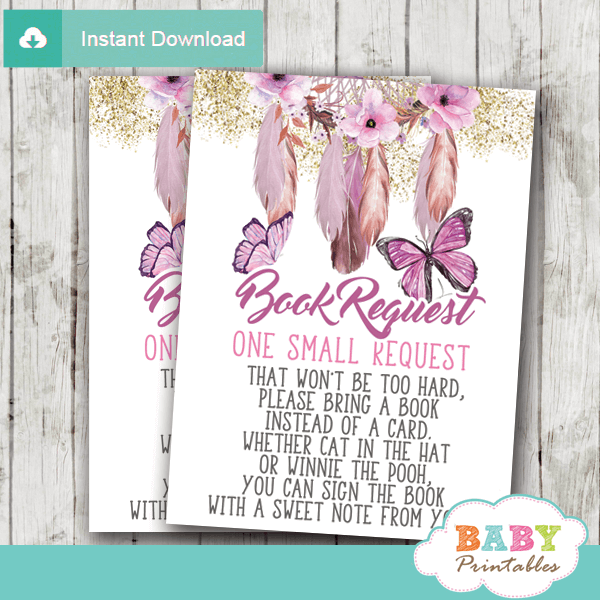 Beautiful bohemian themed Butterflies book request cards to start growing your little girl’s library from the get go! 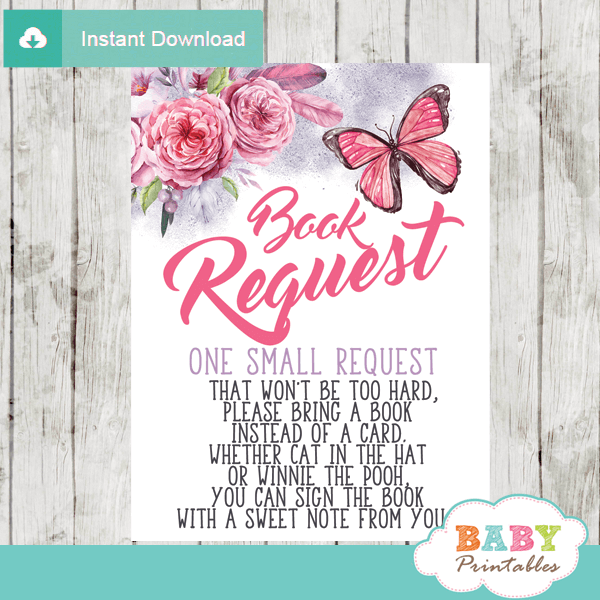 The butterflies book request cards feature a hand painted American Indian dream catcher with flowers, feathers and fluttering butterflies in pink accents against a white backdrop sprinkled with faux gold glitter. 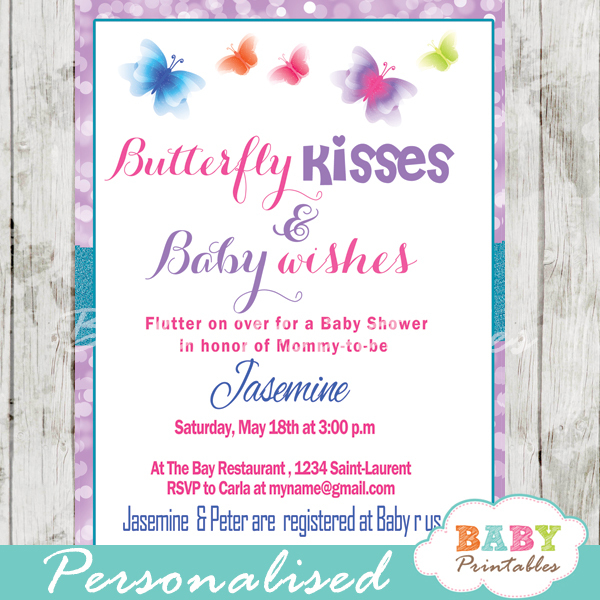 These hand painted watercolor invitation inserts are perfect for a bohemian butterflies and flowers baby shower theme. 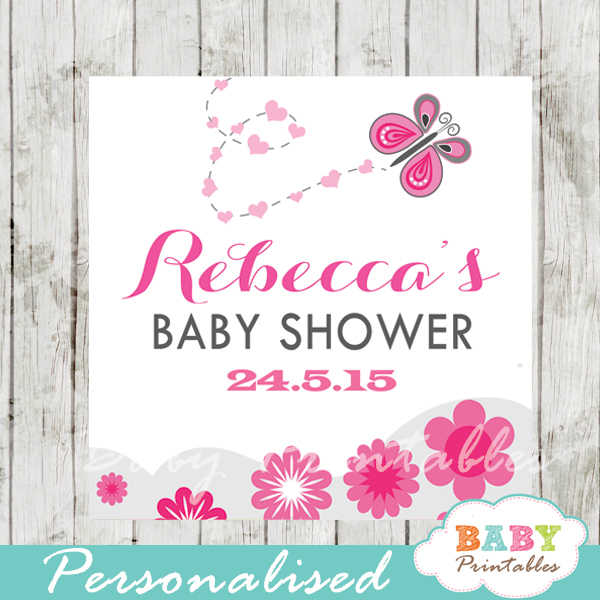 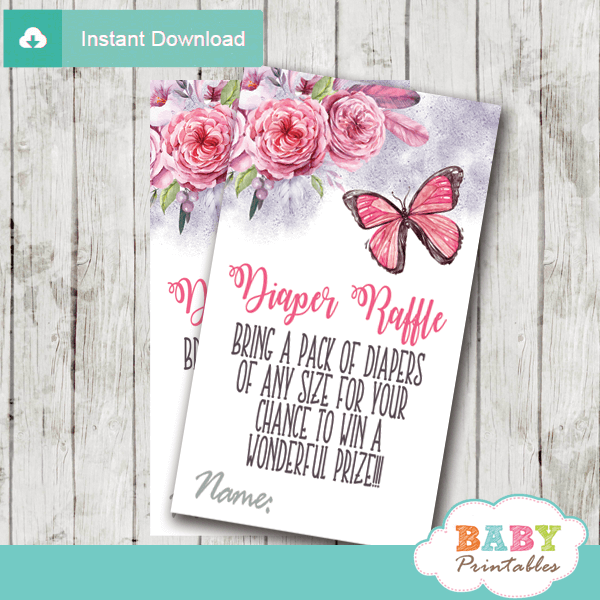 ★ Click to view matching butterfly baby shower decorations.